That's a Wrap | Tioga-Sequoia Brewery Co. 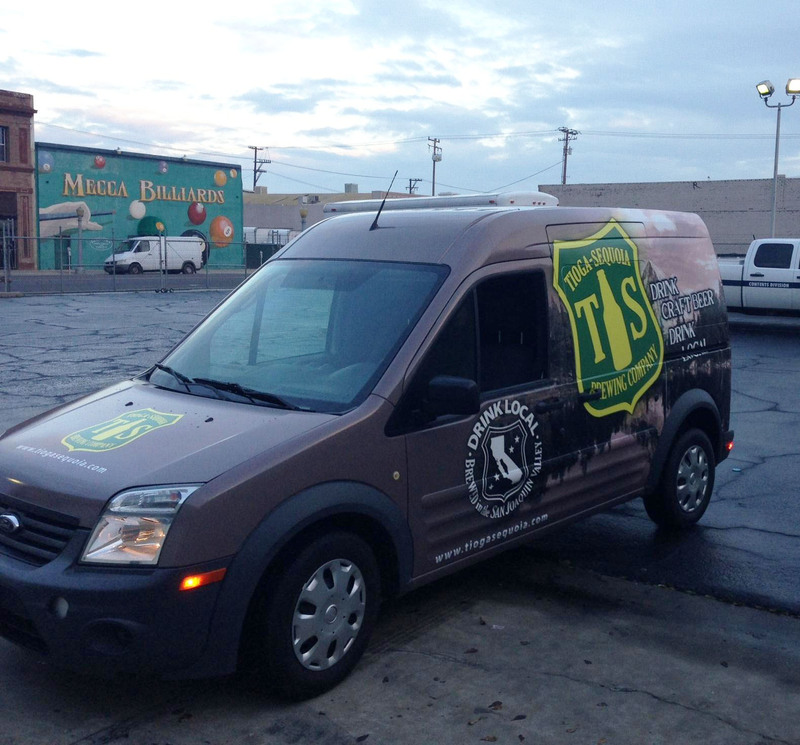 Recently, Tioga Sequoia purchased a van to help transport equipment and beer to events and promotions. When we bought it, it was a dull white Ford Transit Connect. And for those of you who know what that is you know what I’m talking about. For those of you who don’t, it was basically a plain white shrunken down ambulance. Not the prettiest car in the garage. However!!! It has officially been completely wrapped and is now a Tioga Sequoia Drink Local Locomotive. It has gone through some serious plastic surgery to get where it is today, but we are proud of her none the less! Tags:About Tioga Sequoia Brewing Co.